Replacement Windows Edison NJ | Window & Door Outlet, Inc. If your home’s windows are outdated, it’s possible that they are affecting your monthly energy bills. 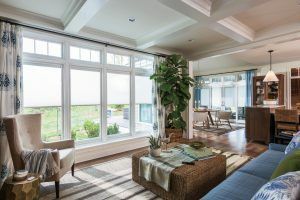 Windows can be vulnerable to air leaks and heat transfer, especially if they weren’t manufactured using the latest energy-efficiency technologies. These issues can cause your home’s HVAC system to have to work overtime to maintain an even temperature, raising your monthly energy usage. If you’re ready to upgrade your New Jersey home’s energy efficiency and curb appeal with eye-catching replacement windows, contact Window & Door Outlet, Inc. We have been serving the community for more than two decades and offer a variety of windows to meet any budget, all of which feature incredible design and craftsmanship. Additionally, our vinyl replacement windows are installed by factory-certified installers and come with a lifetime warranty that even covers glass breakage, so you can rest easy knowing the investment in your home is protected. If you would like to view some of the vinyl replacement windows we offer, you can browse our selection in our 2,500-square-foot showroom in Edison, NJ, which is just a short drive from many New Jersey communities. Wood windows are available as well. Or, contact Window & Door Outlet today to schedule a free in-home consultation. Financing is available to homeowners who qualify. To see more images of our windows visit our Gallery!